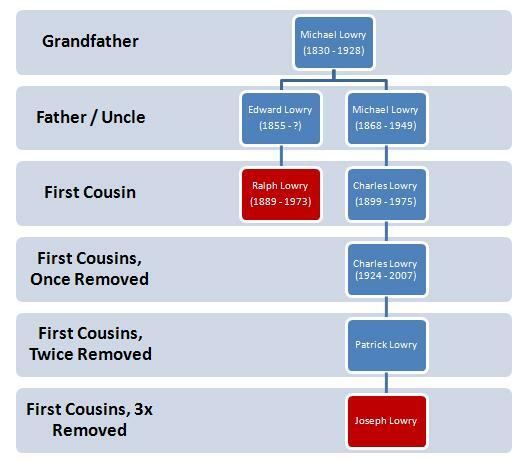 The Lowry’s of Youngstown are a large clan. My grandparents Chuck and Jean Lowry are responsible for eleven children, 15 grandchildren, and ten great grandchildren! Add to that number spouses, stepchildren, and pets, and there’s even more Lowry’s! That said, my grandfather was an only child, and my dad and his siblings know a bit about their great aunts and uncles, but not much. The Lowry’s never hosted large extended family gatherings like the Groucutt side of the family because there was not a large extended family to host! He even looks like a Lowry! 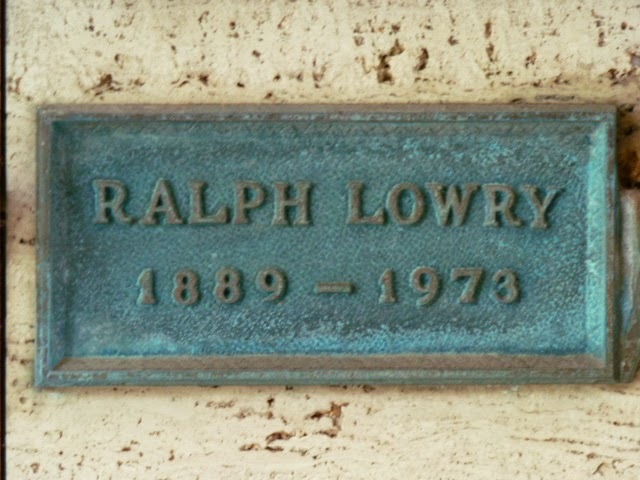 That Dam Lowry is Ralph Lowry. Ralph was born in Bevier, Missouri on April 18, 1889 to Edward and Sarah Lowry. This chart shows Ralph’s relationship to the people on the right, which is my family line. Click image to enlarge. Edward, a coal miner, was in the process of making his way West while the rest of the family remained in Ohio and Pennsylvania. By 1900, Edward, Sarah, Ralph and his brother Edward Jr. were living in Ferry, Washington, which Ralph would call home through college. 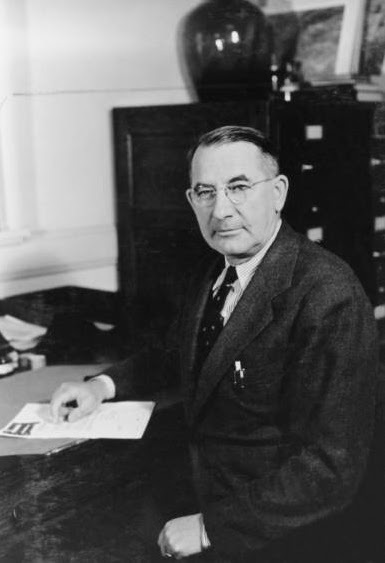 He attended the Washington State University, receiving a degree in 1917 in civil engineering. 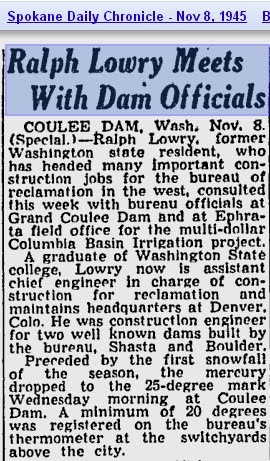 For the next forty years, Ralph worked for the Bureau of Reclamation as an engineer. He was a construction engineer on the Gibson Dam project. This dam was built between 1926 and 1929 in western Montana to irrigate land in the Sun River Valley. His greatest accomplishments were to come, however, when he accepted a position as an engineer on the construction of the Hoover Dam. In 1931, Ralph was appointed as a Field Engineer on the Hoover project. For the next five years he worked as one of a number of engineers before he was offered a promotion. Head engineer Walker Young was leaving the Hoover project and Ralph became the senior government engineer just as construction was wrapping up. While the Hoover Dam is certainly the most well known of Ralph’s projects, he did not stop there. He served as an engineer on the Shasta Dam and Coulee Dam construction projects. 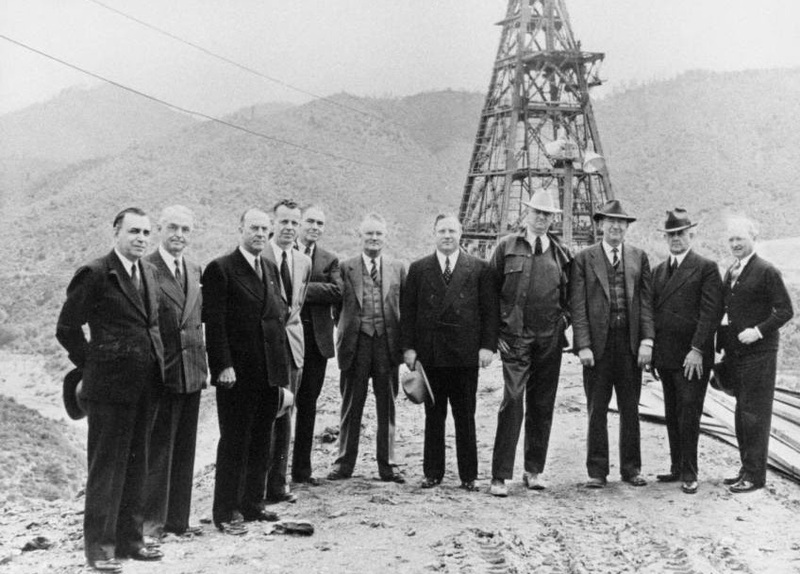 Ralph, third from the right, with members of the California Supreme Court and other state officials who are inspecting the Shasta Dam. Bureau of Land Management photo; CSU Chico Archives. 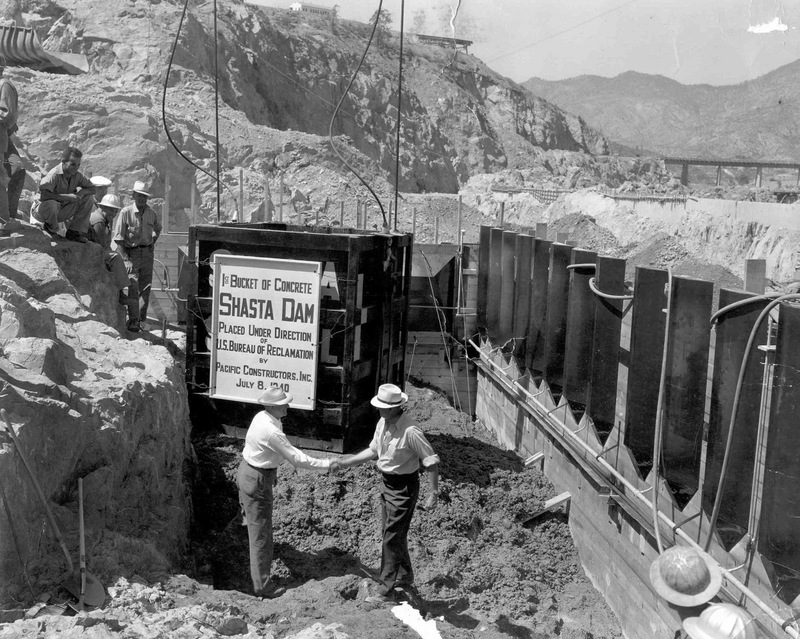 Ralph Lowry, Construction Engineer for Reclamation, left, congratulates Frank Crowe, Superintendent for Pacific Constructors, Inc., right, on the placing of the first bucket of concrete in Shasta Dam. July 8, 1940. USBR photo and caption. Ralph retired in 1949 as the Assistant Chief Engineer for the Bureau of Reclamation and settled in Monterey, California. He died on August 18, 1973 in nearby Carmel, California. Eileen and I vacationed there this past summer and I wouldn’t let her leave without a stop at Ralph’s grave. He and his wife Gladys are buried in the columbarium at El Carmelo Cemetery.